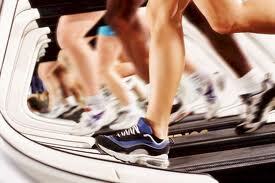 You should take part in cardiovascular activities that put little strain on joints and use the large muscle groups. Some good activities for endurance building are walking, jogging, biking, skating and swimming. You should exercise three to five times a week for 20-30 minutes each, but consider that everybody has different physical levels of exercise abilities. It`s important to build up your exercise programme by starting slowly, then gradually working into a more rigorous regimen. Always rest and stretch after you exercise for a couple minutes.